In this class, you will learn the basics of jewelry design, and create 2 pieces of jewelry: 1 pair of earrings and 1 necklace. In the Drop Earrings Lesson, you will learn how to create a wire-wrapped pair of earrings, using wire and stones/crystals of your choice. You will introduced to the materials you will need to create the pieces as well as where you can purchase them. You will learn the techniques on how to create a headpin out of wire, and then connect stones to each other through wire-wrapped loops. 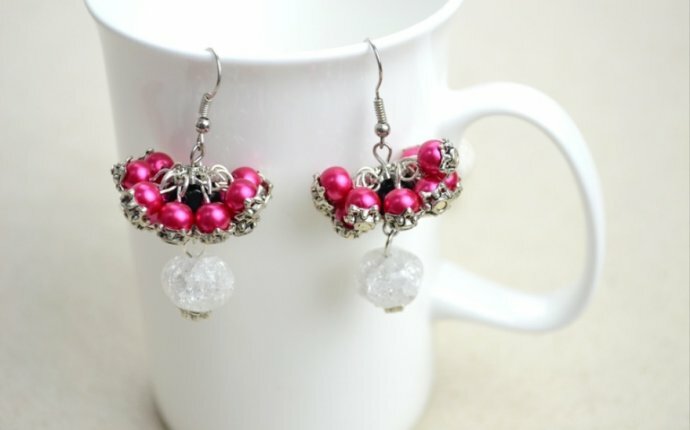 You will then learn how to complete your design with attaching ear wires. In the Strung Necklace Lesson, you will learn the proper stringing techniques, design elements of constructing a necklace made out of semi-precious stones and crystals, and proper finishing techniques - including how to attach a clasp and extender chain to make your necklace look finished. The lessons will also introduce you to basic color theory, and you will experiment with how to mix different colors together to create striking gem combinations. You will practice combining both texture and color to incorporate both into your designs like a pro!